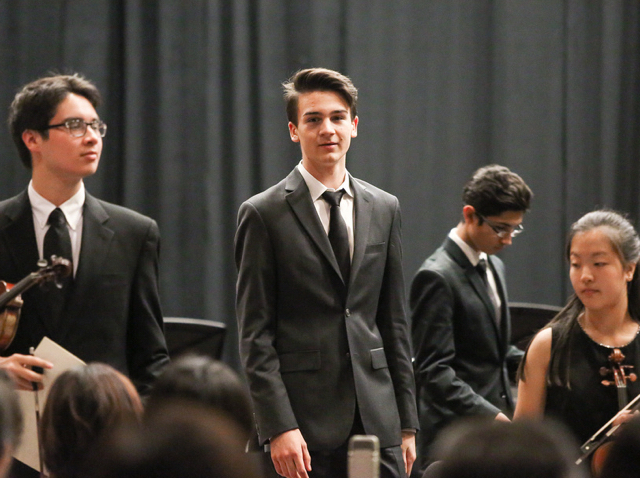 JOSEPH VASCONI of LOS GATOS, CALIFORNIA from VALLEY CHRISTIAN HIGH SHOOL CONSERVATORY OF MUSIC, has been named a 2019 National YoungArts Foundation (YoungArts) Honorable Mention winner in PIANO. Selected from thousands of applications, VASCONI has been recognized for his outstanding artistic achievements and joins 710 of the nation’s most promising young artists from 44 states across visual, literary, design and performing arts. Winners receive cash awards of up to $10,000, opportunities to participate in YoungArts programs nationwide and engage with renowned mentors, and guidance in taking important steps toward achieving their artistic goals. 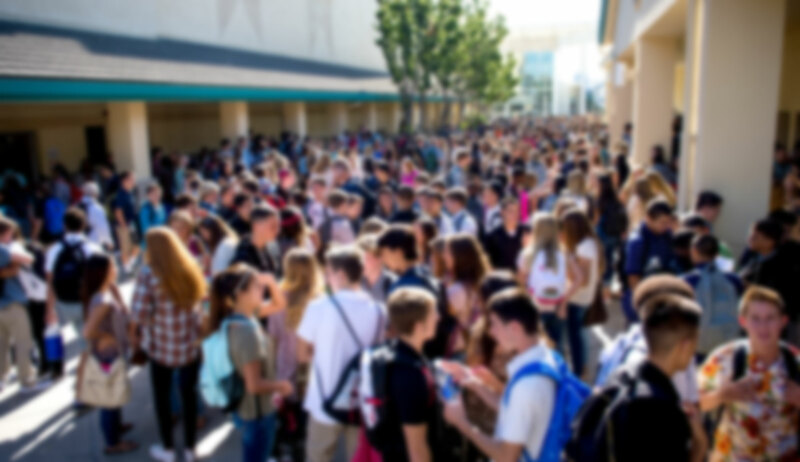 A complete list of the 2019 winners, all 15–18 years old or in grades 10–12, is available online at youngarts.org/winners. VASCONI will receive a cash prize of up to $10,000; is eligible to participate in YoungArts’ regional programs, including YoungArts Miami (February 19–24, 2019), YoungArts Los Angeles (March 26–31, 2019) and YoungArts New York (April 23–28, 2019), and will join a professional network of distinguished artists. Throughout the year, VASCONI will be offered opportunities to share his work with the public at renowned institutions such as the John F. Kennedy Center for the Performing Arts (Washington, D.C.), The Metropolitan Museum of Art (New York), Baryshnikov Arts Center (New York) and New World Center (Miami); and access to mentors including Tony Award winner Joan Lader; Grammy Award-winning percussionist Joseph Gramley; Academy Award-winning film editor Doug Blush; Obie Award-winning theater artists Steven Sapp and Mildred Ruiz; award-winning journalist, author and provocative cultural critic Joan Morgan; poet John Murillo; opera singers Daniela Mack and Alek Shrader; US Artist Fellow and Princess Grace award-winning choreographer Rosie Herrera; bestselling author Kristen Simmons; and award-winning photographer Lori Hepner, among many others. “This musical endeavor has influenced many aspects of my life and has helped me connect with the world in unexpected ways”, says Joseph Vasconi. VASCONI will join a growing alumni network of more than 20,000 artists and will receive access to additional professional and artistic development, and presentation opportunities. Alumni programs include the new Up Next career development symposia in Los Angeles and New York, exhibitions curated by renowned artists such as Derrick Adams, and interdisciplinary residency programs in Miami. YoungArts’ signature program is an application-based award for emerging artists ages 15–18 or in grades 10–12 from across the United States. Selected through a blind adjudication process, YoungArts winners receive valuable support, including financial awards of up to $10,000, professional development and educational experiences working with renowned mentors—such as Debbie Allen, Mikhail Baryshnikov, Rebecca Walker, Frank Gehry, Jeff Koons, Wynton Marsalis, Salman Rushdie and Carrie Mae Weems—and performance and exhibition opportunities at some of the nation’s leading cultural institutions, including the John F. Kennedy Center for the Performing Arts (Washington, D.C.), The Metropolitan Museum of Art (New York), The Museum of Modern Art (New York) and New World Center (Miami). Additionally, YoungArts winners are eligible for nomination as a U.S. Presidential Scholar in the Arts, one of the nation’s highest honors for high school students who exemplify academic and artistic excellence. Joey spent the past two weeks in summer, 2018, at the Philadelphia Summer Music Festival held at Bryn Mawr college with faculty from Curtis Institute of Music and the Philadelphia Orchestra. 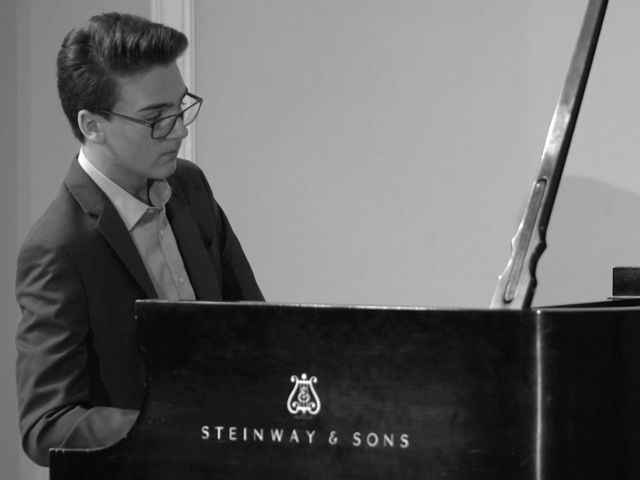 On Friday, June 29, Joey performed M. Ravel, Jeux d’Eau and his performance earned him the top prize at the 2018 Cunningham Piano Competition. He most recently was invited to audition for Juilliard and Oberlin Conservatories, among 6 total invitations.